It’s sourdough time again! 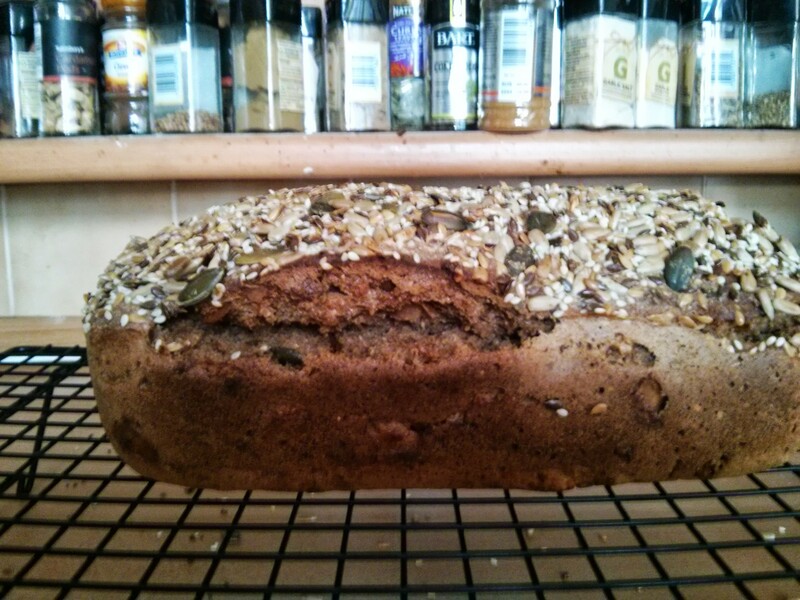 This week I’m changing to the 200g rye / 130g other flour ration to try and avoid the bread tearing so much. Also I’m trying using root beer for the liquid, purely because we’ve got some bottle of it and nobody likes to drink it! As its fizzy it really puffed up while mixing in, but it calmed down and looks pretty normal when it’s in the tin. Out of the oven and things look less cracked! 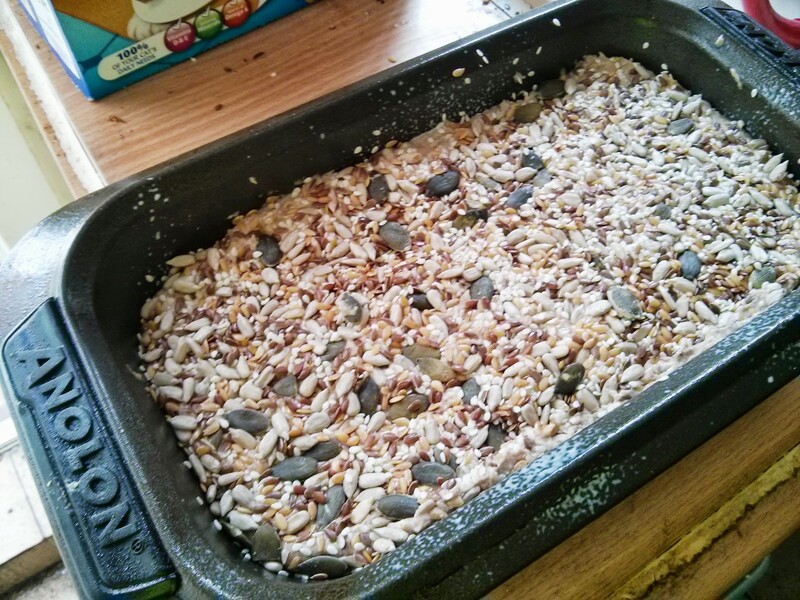 After taking it out of the tin there were still tears, not not as bad as normal. 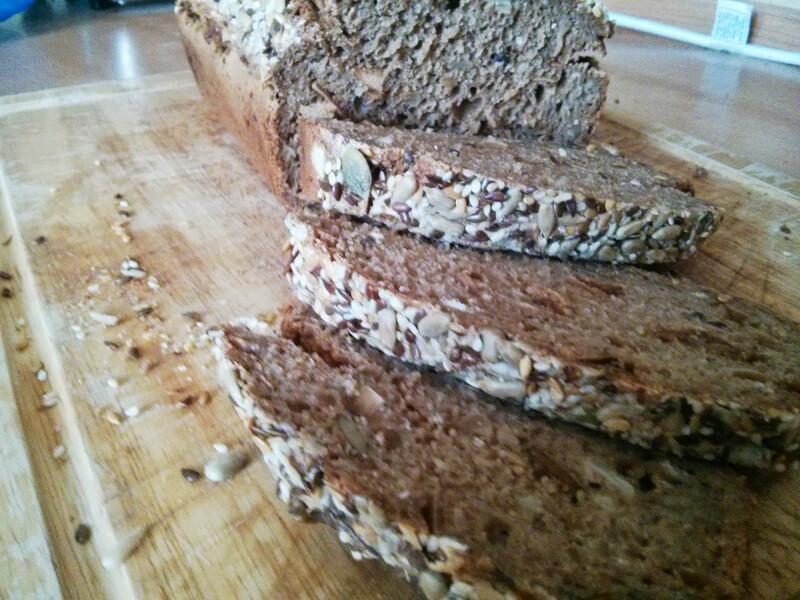 Cutting into it and… result! There’s no gap at the top, and it’s all nicely cooked through. Having said that, I’m still going to try spraying the top with water next time I make it. As for the taste: yummy! 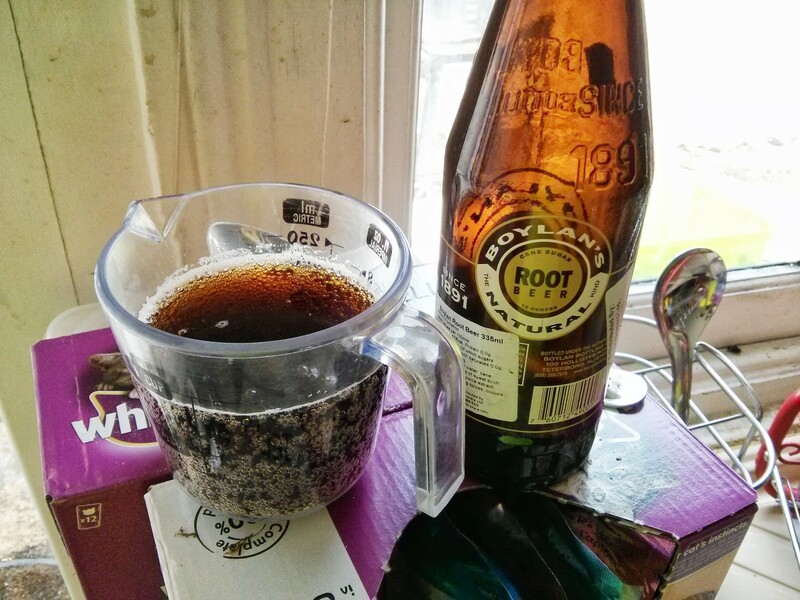 The root beer doesn’t leave a strong taste, but it does work quite well with the rye flavour. Great result with not having a gap at the top. 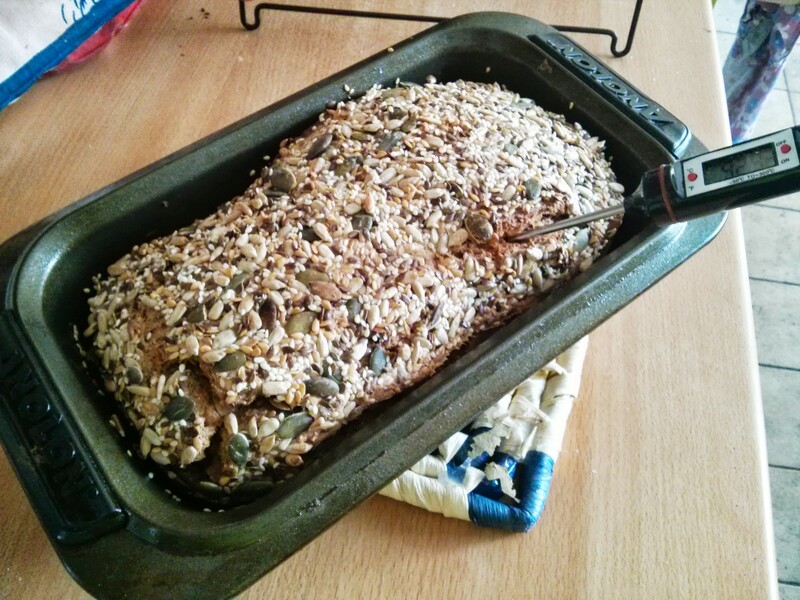 Do you think it came out with no gap because you used 200g rye flour, rather than the credit going to the beer? It could have been the root beer… but I would have thought that being fizzy would cause more of a hole, not less. Anyway we’ll see over the course of following weeks with other liquids and see if it makes a difference.